Tron’s road-of-development has been fascinating to witness as it has well cemented its place as a true contender against leading cryptos [Ethereum, Bitcoin XRP] which cannot without a doubt neglect its presents in the digital currency industry. Since all its systems were given the green light to-go end of May when its MainNet launched, the progress is flawlessly visible as various promises made by its founder Justin Sun were fulfilled. 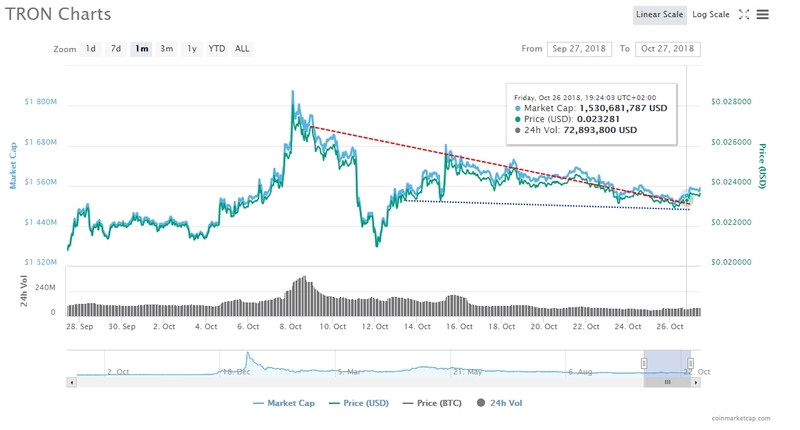 Its community’s support is directly reflected by TRX/USD side as it is the only attempting to overcome the declining trend of bears having their saying throughout the whole market. Per time of writing, TRX is changing hands against the US Dollar at 0.0235 with 2.33% increase. Today’s trading concluded the weekly triangle formed by the declining trend and the supportive TRX ground with a break above which might have invited more buyers as the weekend starts. 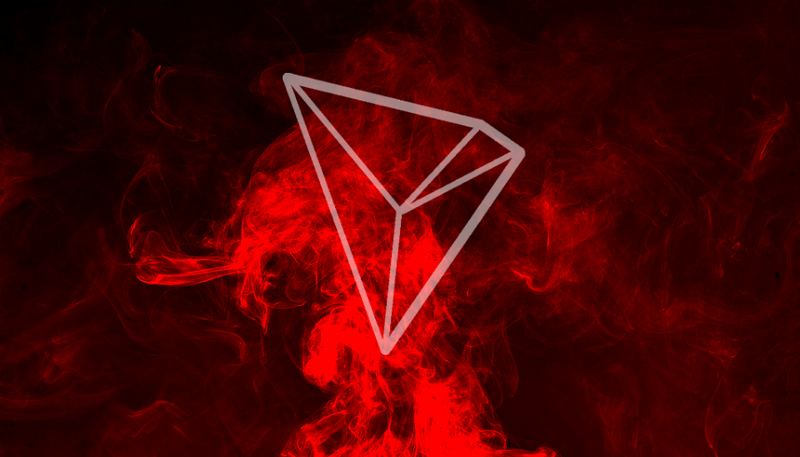 TRONix (TRX) is the official cryptocurrency of TRON. It aims to be a decentralized content sharing platform, giving the power to the creators and consumers. They are targeting the digital entertainment industry, valued at around 1 trillion dollars yearly.